The editorial team will be going offline for a few days. But before we do, we just want to wish all our followers, and particularly all exhibitors at Southern & Northern Manufacturing & Electronics, a very Merry Christmas and Prosperous New Year. We’ll be back with more stories from Southern Manufacturing & Electronics 2016 next week. 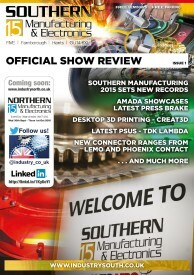 Don’t forget that the 16 page Show Preview magazine will be published on January 5th, so to receive your free copy make sure you register for your free tickets to Southern Manufacturing before then. All pre-registered visitors also get a free comprehensive Show Guide, worth £10. Last week’s Northern Manufacturing & Electronics Show may very well turn out to have been the most successful to date. Early estimates indicate that the third edition of the event, now firmly embedded in the UK’s industrial calendar, attracted around 2,900 visitors over both days, an increase of some 5% on last year. The show has very quickly come to personify the North’s unique blend of pride in both its industrial heritage and its contemporary capabilities: Exhibitors Serious Engineering • @Seriouseng Tweeted: “The North is a hive of engineering talent & we’re proud to be part of it”. Joining them in a celebration of the best of Northern engineering was an incredible variety of the latest technologies and engineering services from an equally diverse range of suppliers, both large and small. Mazak showcased its SMOOTH technology; a technique which the firm says has revolutionised the way its machine tools perform 5-axis and contouring operations. Amongst other technologies on show on the Amada stand, including its Fabrivision quality laser scanner, was an alternative tooling option on its popular long stroke machine, the HFE M2. Waldmann launched its new LED machine light, the Mach LED Plus at this year’s show. KUKA Robotics were on hand to discuss Industry 4.0 and showcase its range of automation solutions, while @igusUK showed its 3D printer & filaments alongside its array of cable and energy chains. 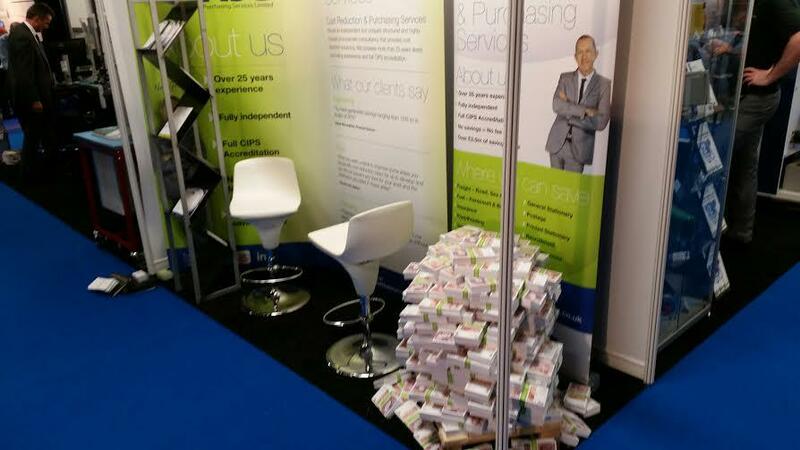 Something else that grabbed visitor’s attention was £4 million in cash stacked on the NJG Purchasing Services stand. Well, perhaps not £4m in actual cash, but certainly real enough to create an eye-catching – and, it appears, successful – illustration of how much cash the firm has saved its clients. European Circuits were one of many electronics firms kept busy over the two days, shamelessly tempting visitors to its stand with the enticement of shortbread and those ties The PCB specialists offer design, manufacture, SMT/PTH assembly, test and product assembly from a single location, and was a UKTI Export Award Winner at Subsea Expo 2014. Connector specialists Lemo presented its latest small diameter, waterproof, push-pull multi-pole connectors incorporating its original Lemo push-pull latching connection technology. The T-Series connectors also have an inner shell and additional sealing to provide protection against water ingress to IP68 level when mated. Hermetically sealed sockets also available for full sealing of enclosures when unmated. Also small but beautifully formed were the remarkable examples of precision laser manufacturing in metals on the Micrometrics stand. 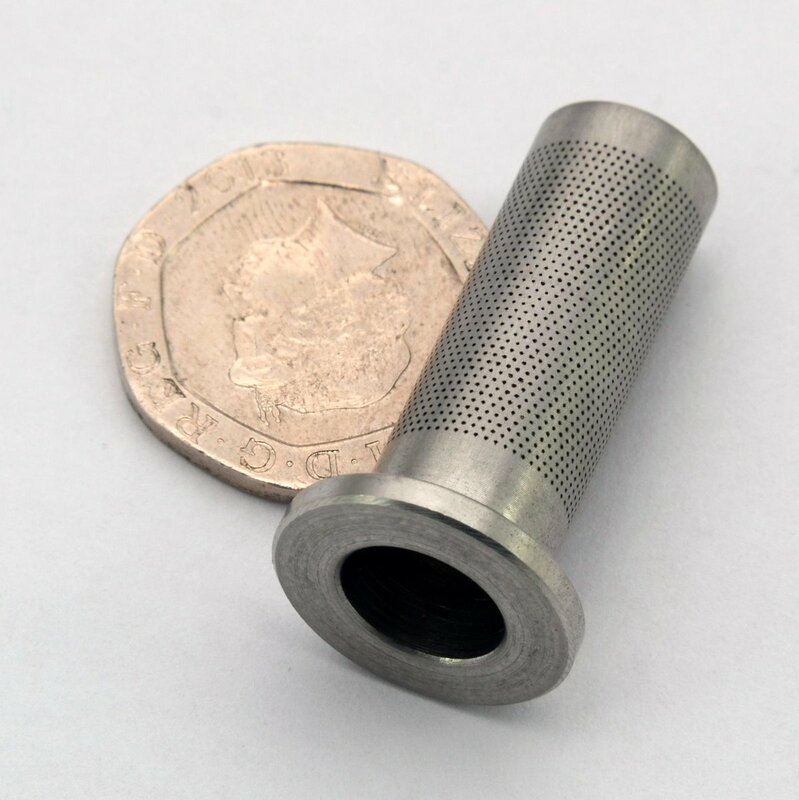 The Lincoln-based firm provides quality precision lasered components to multiple market sectors across the UK,Europe & USA. Also supplying the export market, Darian Global Sourcing launched a new sheet metal fabrication service at Northern Manufacturing 2015. The addition augments its existing offerings of machined grey iron and steel castings, pressure die-castings, forgings, CNC machined items, pressings and stampings to the UK and German market. Many other organisations have already rebooked for Northern 2016. Among them, STEGTA – The Salford and Trafford Engineering Group Training Association. The organisation has been assisting firms and young people with apprenticeship schemes since 1966, helping thousands of youngsters into an engineering career. As well as advising firms on setting up apprenticeship schemes, John Whitby & Ian Parker of STEGTA also delivered a seminar session on the various government support schemes open to companies wishing to invest in apprenticeships schemes. One such group of budding future engineers – A Level Product Design students from Wigan UTC – clearly had a productive day at the show! With the successful culmination of Northern Manufacturing & Electronics 2016, focus now moves to Southern Manufacturing 2016 in February. Next year’s show will once again be a three-day event, and is expected to draw over 800 exhibitors from all over the world to FIVE, Farnborough from February 9th to 11th. Follow us to keep up with all the latest news. Sunny skies greeted visitors to the third Northern Manufacturing & Electronics show, which opened yesterday at Manchester’s EventCity. The event has quickly garnered an enthusiastic following among the North’s engineering and manufacturing community, providing both a unique opportunity to see the latest industrial hardware from pretty much every branch of engineering under one roof, and the chance to solve a variety of production issues in a single visit. Organisers say that show pre-registrations are up 10% higher from last year, and that just over 1000 visitors had passed through the entrance by lunch time yesterday, putting the show on track for another record-breaking year. Some 220+ companies are participating in the show, either directly or through representation, between them showcasing a huge variety of products and services, some of which are being shown for the first time. Bystronic’s latest press brake, the Xpert 40, is being previewed at Northern. With the Xpert 40, Bystronic presents a new pressbrake with a compact design, enabling users to bend small parts fast and cost-effectively. The machine will be launched on the market later this year and will round off Bystronic’s range of pressbrakes in the small machine segment. igusUK introduced the new robolink D direct drive articulated arm. It is, says the company, a tougher, more durable solution compared with remote drive versions – supporting lean automation. To support the typically repetitive tasks of robotics, the system is completely modular, with the direct drive situated within each joint. This helps achieve significant cost savings, says the company. The next generation of deburring machine from Fladder Danmark A/S was unveiled yesterday at the show. The Fladder 200/Gyro features a new vacuum unit which ensures an even safer fixation of work pieces. The vacuum effect has increased 30% with the same power consumption, reports the company. The central gearhead is equipped with conical spindles. This provides more tool options, including 400mm diameter, abrasive cylinders with increased oscillation of the gearhead and 40% more deburring effect. Demonstrated for the first time in the UK, Trumpf’s TruTops Boost is a software product combining its production machinery expertise and software. It allows users to work with automation, or interactively, or a combination of both. 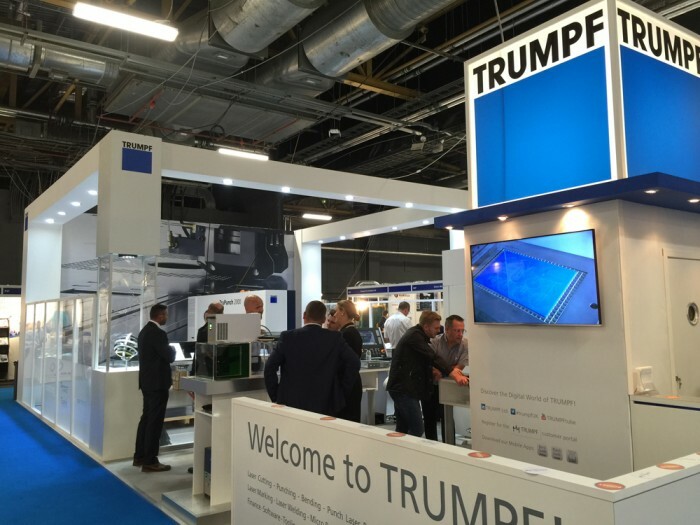 Trumpf are also demonstrating the company’s core technologies – punching, profiling and bending – on the stand, including a punch press that was introduced to the UK earlier this year and which demonstrates how automatic production can be economical, even when operated at low capacity. Renishaw introduced a new range of modular metrology fixturing, alongside many examples of the firm’s advanced engineering technologies, including its pioneering additive manufacturing (metal 3D printing) systems, machine tool probing systems and the Equatore gauging system. The company’s products are used for applications as diverse as machine tool automation, co-ordinate measurement, additive manufacturing, gauging, Raman spectroscopy, machine calibration, position feedback, CAD/CAM dentistry, stereotactic neurosurgery and medical diagnostics. The many subcontractors exhibiting at the show also had plenty of announcements to make, from new capacity coming online to new services being offered. Jenks & Cattell is a leading supplier of sheet metal manufacturing and engineering services to a wide range of industries including automotive, white goods, off-highway and construction. The firm announced that 2015-2020 will see a period of significant planned growth for the company, including increased investment in machinery, automation and additional team members, as well as an additional shift. PCB assembly specialists, DJ Assembly, announced its move into box build assembly. The company caters for all levels of box build requirements, on a larger or smaller scale, for next level assembly or a more complex design. As well as manufacturing box build products, the company can also procure the parts needed. Nikon UK introduced its latest CMM laser scanner, the Nikon InSight L100, offering, claims the firm, the best possible combination of speed, accuracy and ease-of-use. The InSight L100 is ideal to inspect larger components where productivity is key but without having to compromise on accuracy. The 100 mm wide Field-of-View combined with the data acquisition speed of 200,000 points/second results in a measurement productivity that wasn’t achievable with CMM scanning before. To facilitate manual scan path programming, the InSight L100 features a brand new full Field-of-View (FOV) projector . By making sure that the scan line falls within the projected FOV, the user can be sure that they get good part coverage. Contract electronics manufacturer, LCL Electronics, is highlighting its expertise in LED assembly this year, following “significant growth” in 2014. Customers in signalling, fire safety, audio, medical diagnostics and gaming approached the company for production, due to the company’s ability to achieve higher yields than other contract manufacturers. 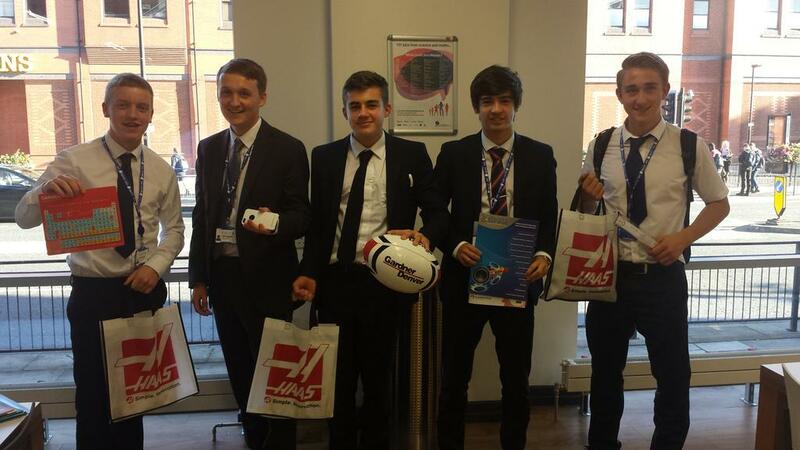 LCL Electronics Tweeted it had had “A great first day” and is looking forward to more of the same for Day 2. Northern Manufacturing & Electronics is open today from 9.30am until 4pm. Entry and car parking is free. Visitors who haven’t pre-registered are able to register on the door by bringing their business cards with them. You can follow all the latest updates from the show on Twitter @industry_co_uk and the hashtag #northmanf. The doors are open for the third Northern Manufacturing & Electronics show at EventCity, Manchester. Despite its comparatively brief history compared to the 20 year track record of its sibling, the Southern Manufacturing Show, Northern has very rapidly established itself as one of the UK’s key annual industrial events, and a show of particular importance to the North’s engineering sector. As usual, the exhibitor list for Northern Manufacturing & Electronics 2015 features an impressive selection of stand-out names from the world of engineering, including some of the world’s largest machinery and industrial equipment manufacturers. Virtually all aspects of industrial technology will be represented, from live demonstrations of the latest machine tools to cutting-edge technologies such as 3D printing, additive manufacturing and laser welding. The show is also a hub for specialist component suppliers and industrial contractors from across the North, providing them with a vital marketplace for their services. With so much to see under one roof, the show makes it easy for visitors to investigate the latest hardware and potential new suppliers in one visit. Northern Manufacturing & Electronics 2015 also provides visitors with the opportunity to up-skill, thanks to its ever-popular free technical seminar programme that runs over both days of the show. A collection of one-hour sessions provided by noted experts in their fields touches on a wide range of technical and operational topics such as Lean, CE Marking, product development and marketing. Presenters this year include The North West Aerospace Alliance, STEGTA, the CE Marking Association, Lucid Innovation and Onsite Insights. The full programme and pre-registration can be found on the show’s website at http://www.industrynorth.co.uk. Admission to Northern Manufacturing & Electronics 2015 is absolutely free to business visitors, and EventCity offers 3000 free on-site car parking spaces, with easy access by road or public transport. If you haven’t yet registered, don’t worry – simply bring a business card with you and register on the door. Visitors can follow all the latest news from the show by following @industry_co_uk on Twitter (#northmanf). You can also see videos on the show’s YouTube channel www.youtube.com/UKindustry and the show has its own group on the popular business networking service LinkedIn, at http://linkedin.industrynorth.co.uk where you can start meeting exhibitors before you even step through the door. For everyone exhibiting, and of course all you visitors, we hope you have a fantastic show! Northern Manufacturing & Electronics 2015 is not just a great place see the latest industrial hardware, it’s also the perfect place to hear about the latest ideas in industrial technologies and business management. The North West is a vital region for the UK’s automotive, public transport and aerospace manufacturing sector – which alone contributes over £7bn annually to the UK economy. The North West Aerospace Alliance (NWAA) is the key organisation for the aerospace industry in the North West, and its Chief Executive, Dr. David Bailey, will present one of the keynote sessions of the 2015 programme, entitled Technology Opportunities and Challenges in the Aerospace Supply Chain. The Northern Manufacturing show will also launch a new feature for 2015, RoadRailAir, to reflect the region’s supply chain strength in these sectors. Wayne Kite of Stanford Marsh will deliver an overview of the emerging technology of 3D Printing and some case studies illustrating how it can be employed in almost limitless applications in manufacturing. Alistair Williamson of Lucid Innovation will explore how additive manufacturing is literally shaping the future of manufacturing across a wide range of sectors, from food & drink, to aerospace and medical technology. Innovation is vital in manufacturing industry. Alistair Williamson hosts a second session looking at the innovation process, from spotting opportunity and market research through to effective prototyping and design. Peter Roberts, a Chartered Patent Attorney with Marks & Clerk LLP, will explain how to maximise return on R&D investment by capturing and protecting product designs. Ailsa Kaye of Onsite Insights takes an in-depth look at how best practice in manufacturing, drawing lessons in innovation, design, cost-efficiency and delivery from world-class companies and showing how they can be applied in any business to improve competitive advantage. Tim Scurlock of Automotive Lean Consulting will take a practical look at how Lean concepts can be employed to improve manufacturing efficiency. Mike Foster of the CE Marking Association looks at the latest legislative environment affecting manufacturers. The Salford and Trafford Engineering Group Training Association, STEGTA, has been helping firms and young people into apprenticeship schemes since 1966 and is recognised by Ofsted as one of the leading training providers in the country. John Whitby and Ian Parker of STEGTA will show how apprentice schemes can benefit your business and provide an overview of government-supported training schemes. The size of the shows means that we are now dealing with hundreds of stories both before and after each event, so we have now moved to publishing three times for the Southern editions and two for Northern. We produce two print editions a year, with a circulation of up to 40,000 copies per issue – considerably larger than many commercial magazines, plus five digital editions, which are now available in both Flash and HTML5 formats so they can be viewed on any device. If you an exhibitor at any ETES exhibition, you can submit news and product stories to the relevant edition totally free of charge. This gives your pre and post-show publicity a considerable extra boost at absolutely no cost to you. Many of the UK’s trade publications also follow our news feeds, so submitting a story to any of our magazines also makes it much more likely it will be picked up by the commercial press. To participate, simply click here to submit your story online. Don’t forget that the deadline for the Northern 2015 edition is this week, so you need to act very quickly if you want to take part. Click the link above to see the latest edition and follow @industry_co_uk on Twitter to catch all the latest news from the shows. Southern Manufacturing & Electronics 2015 achieved unprecedented attendance figures and set new records for exhibitor rebooking, say organisers European Trade & Exhibition Services. Early indications are that over 8,300 visitors attended the event over the three days, an increase of around 20% on last year’s figure. The 2015 show was notable for its move to a three-day format for the first time in its 20 year history, and for the large number of international companies taking part in the show. Visitors to the event witnessed an incredible line-up of the UK’s top engineering firms, electronic component suppliers and subcontractors, plus live demonstrations from many of the world’s leading machinery manufacturers and firms from as far afield as Taiwan, Japan and the USA. European companies were also well represented, with firms travelling from Spain, Italy, Germany, Switzerland, the Netherlands, Latvia and Slovakia to attend. Many exhibitors expressed satisfaction at both the quantity and quality of visitors to the show, which traditionally attracts a high percentage of design engineers and senior decision makers due to its convenient location in Farnborough, close to the M3 and M4 corridors. Southern Manufacturing & Electronics 2015 closes today, Thursday 12th February at 3.30pm. This means you’ve got just one more chance to catch up with hundreds of top engineering suppliers from all over Europe in one easy-access venue. This is your last chance to pack a year’s worth of research into one day. It was an exciting, brisk and purposeful day on the show floor at Southern Manufacturing & Electronics 2015 as thousands more visitors arrived at Farnborough FIVE for Day 2 of the show. The aisles and walkways throughout Farnborough FIVE were busy throughout the day as visitors convened to see the latest technologies and product demonstrations. Exhibitors were pleased too, resulting in a strong number of pre-bookings for next year’s show, which again will be held over three days. In the Seminar Theatres, there were sessions covering important issues such as manufacturing compliance, quality assurance in Aerospace supply chain, Trademarks & Patents demystified and the EMC directive of essential requirements to ensure new products are safe and reliable. If you’ve not pre-registered, that’s not a problem, simply turn up at the door and we’ll quickly process your details, issue you with a badge and FREE catalogue and then you’re good to go. The show is bigger and better than ever before. We have over 750 exhibitors, many of them exhibiting for the first time. There are lots of new product announcements, variety of demonstrations and a seminar programme running in two theatres throughout the day.